Welcome to the Restore SD Plastic Surgery Recovery Calculator! Our team understands that everyone has a very busy agenda and that adding cosmetic surgery into the mix can become challenging. As such, we created this convenient resource that features the average recovery periods for the most popular plastic surgery procedures performed each year to help you plan your return to your life anew. Recovery time is perhaps one of the most important factors to consider when it comes to receiving plastic surgery. How much downtime will I need to set aside following a Facelift? When can I resume my routine after a Mommy Makeover? Should I avoid extensive exercise following a Breast Augmentation? How many household tasks should I hold off on following a Tummy Tuck? When can I expect to fully recover after a Liposuction? The Restore SD Plastic Surgery Recovery Calculator can help shed some light on those questions and more. Naturally, it will take some time for the body to recover following plastic surgery. We designed this recovery timeline to help you figure out how long you can expect to recover and how you can spend your recovery period. Additionally, the Restore SD Plastic Surgery Recovery Calculator can give you a better idea of when you can resume with your everyday activities. Using the Restore SD Plastic Surgery Recovery Calculator is easy! First, select a procedure you’re interested in from the drop-down menu. From there, the recovery calculator will display a recovery timeline from when you schedule a surgery date to when you can expect to resume some of your normal activities and routine. However, the recovery calculator strictly reflects an estimate of a recovery period. Each of our patients is going to heal at a different rate, so your actual recovery period will vary based on several factors such as the extent of the surgery. 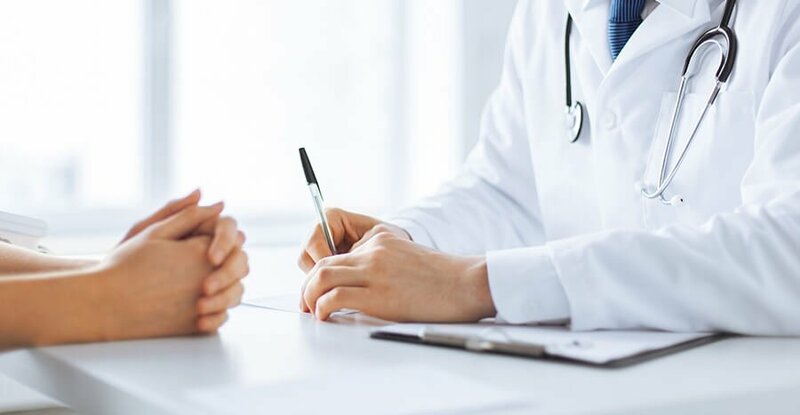 Dr. Douglas or Dr. Gallus will help you develop a personalized plan to achieve your goals as well as giving you the tools needed in making your recovery as smooth as possible. If your individual plastic surgery procedure is not listed here, don’t worry! We can work on a personalized treatment plan and recovery timeline during your initial appointment. Full recovery from breast augmentation varies on a few factors, including whether you decide to have implants placed above or below the muscle. Recovery can range from 1-4 weeks. After surgery, it helps to take a bit of time off from work and avoid overhead shoulder motions. Full recovery from breast lift varies on a few factors, including whether you decide to have implants placed at the time of your breast lift. Recovery can range from 1-4 weeks. Full recovery from breast revision depends on several factors, including whether you need reconstruction of your inframammary fold, if you decide to have implants, and if you need additional tissue such as acellular dermal matrix. In general, allow 4 weeks after breast revision before returning to your normal activities. Full recovery from breast reconstruction depends on a few factors, including whether the reconstruction is done at the same time as the mastectomy, and what type of reconstruction is performed. Reconstructions using your own tissues tend to require longer recovery periods. Long-term recovery from gynecomastia is quicker for liposuction only procedures. If breast tissue has to be removed, it is best to allow 4-6 weeks before resuming your usual activities. After surgery, it helps to take time off until you don’t feel so tight. You will need extra hands around the first several days and you won’t be picking up the little ones for the first few weeks. It is important to allow the muscle repair stitches to heal after tummy tuck surgery. You should be moving around quite well by 4 weeks, but allow up to 6-8 weeks before resuming more vigorous activites and your workout routine. After surgery, it helps to take time off for a few days while you are recovering from the anesthesia. Although some swelling can persist for several weeks after liposuction, most people are back to their usual routine activities by 2 weeks. We will help guide you through the recovery process and back to your more vigorous activities. After surgery, it helps to take a bit of time off from work and avoid overhead shoulder motions and lifting anything heavy (including heavy toddlers!). Full recovery from a Mommy Makeover depends on a few factors, including whether you decide to have breast implants with or without a breast lift at the same time, and if you have a tummy tuck or liposuction for the belly. Depending on the combination of procedures, recovery can range from 2-8 weeks. After surgery, it helps to take a few days off while you are recovering from the liposuction part of this procedure. If your buttock lift is liposuction alone, the recovery is typically 1-2 weeks. If you decide to have fat grafting (BBL) or additional work done, the recovery time may range from 4-6 weeks. After surgery, it helps to take a bit of time off from work to elevate your arms and avoid a lot of heavy lifting. It is important to support your arms as they are healing from the lift. You should be feeling normal by around 4 weeks and back to your workout routine by 6-8 weeks. After surgery, it helps to take time off so that you can keep your feet up. You will need extra hands around the house the first several days after this procedure. It is important to support your legs as they are healing from the lift. You should be moving around nicely around 4 weeks and back to your workout routine around 6-8 weeks after surgery. After surgery, it helps to take time off to avoid bending, lifting, and keep your head elevated to reduce swelling. Plan for 4-6 weeks after your facelift before you are ready to resume your normal routine. We will help guide you through the recovery process and back to your more vigorous activities. Swelling is normal after eyelid surgery, so it helps to take a few days off from work, avoid bending, keep your head elevated, and wear a fabulous pair of sunglasses. Recovery from eyelid surgery will depend on if you had surgery on just the upper lids, just the lower lids or both. Simple skin removal from the upper lids has around a two week recovery time. Surgery on the lower lids requires 3-4 weeks of recovery before you are ready to resume your usual routine. Brow surgery general takes 2-3 weeks to start feeling normal and requires a total of 4-6 weeks from surgery before you are ready to resume your workout routine. After surgery, it helps to take time off to keep your feet elevated the first few days. After labiaplasty it can take a few weeks for the swelling to subside. Most patients are completely healed by 6-8 weeks. Swelling is normal after lip augmentation and will last for a few days. Lip augmentation with filler is associated with a few days of swelling. Recovery from lip augmentation using fat grafting can be associated with longer swelling and soreness and bruising around the liposuction site from which the fat was harvested. Most patients are back to normal after 7-10 days. The Restore SD Plastic Surgery Recovery Calculator can be a useful guide as you plan for time away from work and your normal activities. Keep in mind that an online search might suggest different timelines and estimates for recovery from a Facelift, Breast Lift, Mommy Makeover or other procedure. We highly advise that you consult a board-certified plastic surgeon who operates in accredited facilities for a personalized plan. As you look for the best plastic surgeon, make sure you find someone who can relate to your specific needs and one that delivers safe, consistent, and reproducible results. Listening and understand your desired goals is also a must. Restore SD Plastic Surgery is fortunate to have two expert board-certified plastic surgeons – Dr. Trent Douglas and Dr. Katerina Gallus. The office is conveniently located just of I-5 in the UTC area of La Jolla. Our practice is easily reached from all over San Diego and Orange County.